SYDNEY — Ange Postecoglou ensured his Australian team qualified for the World Cup. He's just not quite sure if he'll make the trip to Russia with them next year. Speculation has been mounting over Postecoglou's future as Australia's head coach since media reports emerged during the Asian playoff series against Syria that he may not remain in the job, even if his team qualified. 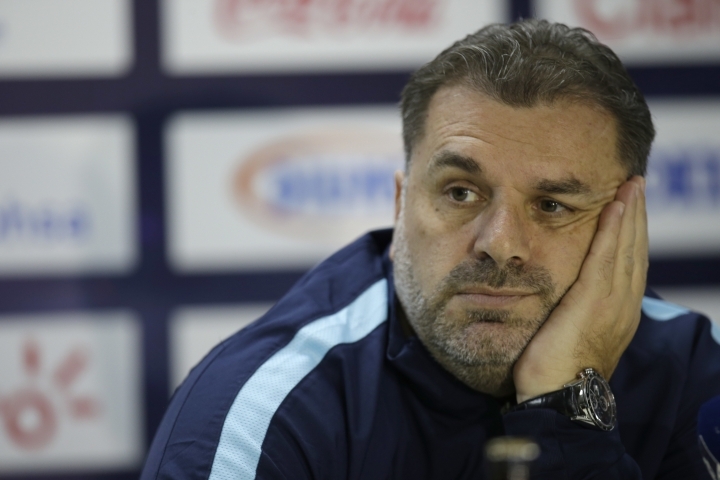 Despite ushering the Socceroos past Syria and the intercontinental playoff against Honduras, clinched with a 3-1 win in Sydney on Wednesday, the 52-year-old Postecoglou wouldn't remained not committal — at least publicly — about his future. "Right now it's about enjoying the moment," he said. "What happens beyond here can be picked up," later. Planning for the World Cup "is pretty much in place (and) we don't have another game until March," Postecoglou added. "From that perspective, there's nothing of real urgency. The draw is the next marker." The State Kremlin Palace in Moscow will host the 32-team draw on Dec. 1. 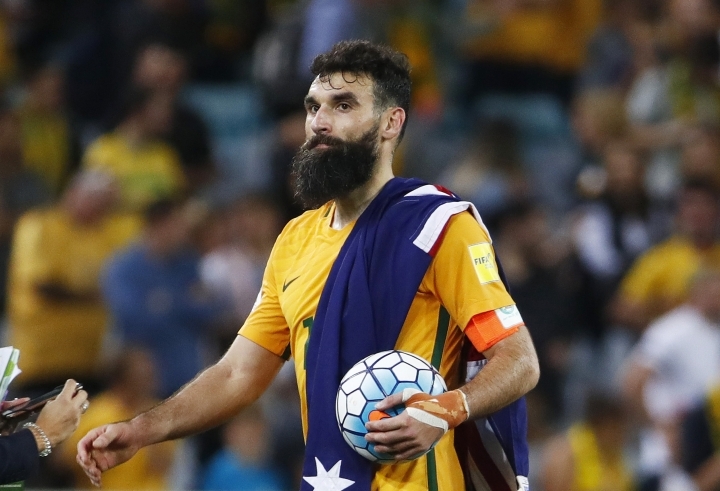 Captain Mile Jedinak got Australia in front against Honduras with a deflected free kick in the 54th minute, and calmly converted two subsequent penalties to guarantee Australia's place in a fourth consecutive World Cup. The home-and-away series ended 3-1 with Honduras scoring in injury time in Sydney, well after the 77,060-strong crowd at Sydney's Olympic stadium started the celebrations. Postecoglou took over as head coach in late 2013, replacing German coach Holger Osieck, after Australia qualified for the 2014 World Cup in Brazil. His relatively inexperienced squad performed credibly despite not winning a game in a group containing 2010 champion Spain, the Netherlands and Chile. 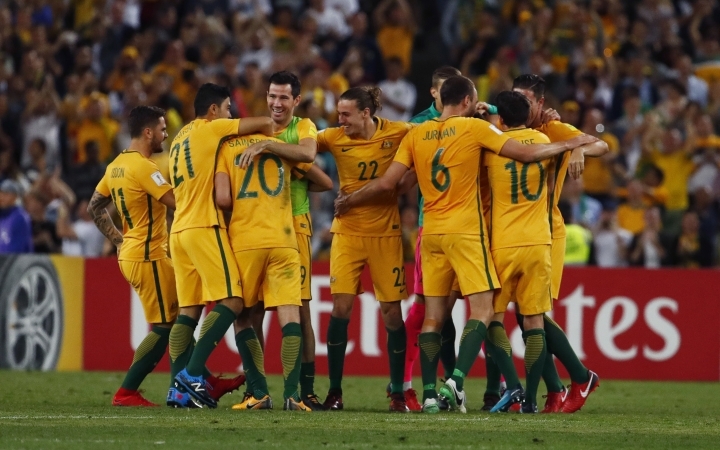 The Greek-born former Australian international then steered the Socceroos to the Asian Cup title in 2015, and through 22 games in qualifying for the 2018 World Cup. 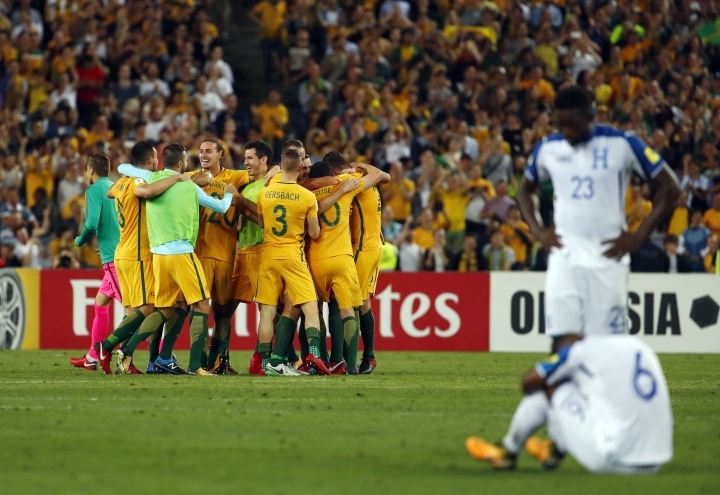 "It's just overwhelming I guess," Postecoglou said of his emotions around finally securing a spot in Russia. "When you're coaching your national team, there's an extra layer and burden of responsibility there — knowing what it means to the nation and to these players. It's been 22 hard games — you just want them to get reward for it." But his perseverance with what he called an Australian style has received mixed reviews domestically. Critics have questioned his defensive system; while a lack of quality finishing saw his team narrowly missing out on direct qualification on goals difference. "It's the hardest thing I've ever done, these last four years — where our starting point was, having gone to a World Cup with a rookie squad and then knowing we pretty much had to win the Asian Cup (on home soil)," he said. "While I've got a thick skin, (my family members) have got to cop what I've been copping and it's unfair on them. Tonight is about enjoying it and hopefully seeing their smiling faces."